Frustrated With Your Weight Loss? Try These Tips! 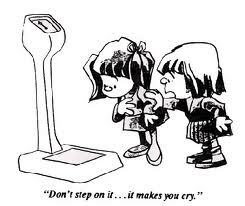 Do you dread getting on the scale? It will become the enemy when you visit it too often. Your weight is not the problem. Your problem is a diet and lifestyle that promotes weight gain. Change the behavior and the weight will change. Quit weighing every day and only weigh once ev ery two weeks. What you eat or do for one day reflects little on any part of your health. What you do consistently for weeks and months is what effects your health and weight loss Your weight can shift multiple pounds from one day to the next, weighing everyday is not a good way to measure your weight loss success. Eventually it is going to show no loss or weight gain and you will be disappointed, frustrated and question your ability to lose the weight. At some point in your weight loss journey you will hit a wall and the weight loss you have been enjoying stops. This happens to anyone that diets. So why does this happen you ask? There are several reasons, lets explore them. Dieting; diets do not work. If you want permanent weight loss, change your life style and dietary habits forever. If you don’t, you will go back to the old behavior that made you fat. Skipping meals. When you skip meals it leads to overeating later due to increased hunger. In addition it can cause craving due to a drop in blood sugar levels. Aim for 3 snacks and 3 meals per day. DO NOT SKIP BREAKFAST! Lack of enough sound sleep. Most people never realize how important to your overall health including weight loss. 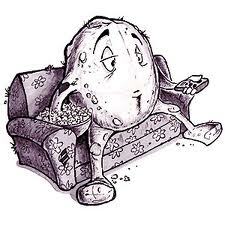 With out adequate sleep your hormonal system is out of balance, you are under stress and releasing fat building hormones. Your need 7 to 8 hours of sound sleep every night. Lack of water. Without enough water (body fluids) your metabolism is lowered and you do not burn as many calories. You just can’t make as much energy without the water. Doing the same exercise routine. You body will figure out how to do your routine very efficiently and you will burn fewer calories. Change your routine and include strength training and interval training. Keep your body guessing. Eating the same foods every day. This is very common. Many of us like certain foods and we like the same ones for breakfast, lunch or dinner. The problem is again our body gets to comfortable because it now has learned how many calories and what nutrients to expect. Vary your calories from day to day. If your calorie budget is 2000 calories shoot for 1800 one day, 2200 one day, 2000 one day and even 1600 one day. The important part is averaging 2000 calories over several days. One day at 2400 calories is not going to effect your weight however a week of 2400 calorie days will. Under consuming calories. Everyone thinks that if you eat less you will lose more weight. Wrong! For most people if you consume less than 1200 calories per day your body is going to think it is starving. As a result it will lower your metabolism drastically and will even want to turn what you eat into fat for later energy when there is no food available. You must eat enough to cover your Basil Metabolic Rate (BMR). Nutrient deficiency. You should complement your diet with super nutrition. Even eating health is not enough with today’s foods. Your body can’t make energy, build muscle, make enzymes, red blood cells, hemoglobin etc… without an abundance of nutrients. Your mitochondria ( cellular power plants) are highly dependent on nutrients to burn carbohydrates and stored fats. Consuming too many calories. Everyone has a calorie budget. If you exceed it consistently you will gain weight. It is important to know yours. Eat 500 calories less per day that your burn and you will lose 1 pound per week of hydrolyzed fat. Never attempt to lose more than 2 pounds per week. Eat less calories ( however not to few) and exercise more to increase your weight loss rate. Forgetting to adjust calorie intake when weight is being lost. As the pounds come off you have to adjust your calorie intake. If you continue eating the same calories that you did 20 pounds ago the weight loss is going to stop. Stress! Stress releases hormones that build abdominal fat. Find ways to add relaxation into your life. Make life fun! Lack of exercise. Everyone needs to exercise. Exercise not only burns fat, it also detoxes the body, forces the body to repair itself and make more energy producing compounds and tissues. If you are morbidly obese you may lose weight for a while without exercising. However at some point the weight loss will stop if you do not include some form of exercise. Lack of real commitment. Are you so tired of being over weight that absolutely nothing is going to stop you. If you aren’t willing to tell your friends or even ask them to support you in your efforts then I question if you are really committed to your weight loss. It is important to let friends and family know so they can help reinforce good behavior and not tempt you will fattening foods. Your friends will want to help and not sabotage your efforts. Hopefully these suggestions will help you get over the hump when you hit the weight loss wall. Change your foods regularly, change your calories daily and vary your exercise routine. In some cases, if you have exercised regularly, you may need a week off. If you have given your body a break you may want to increase your intensity to jump-start the metabolic engine again. I would like to invite you to join me on my weight loss journey! I would like to lose an extra 20 pounds, I’m not sure if my body will let me, as it seems pretty happy at my current weight. Remember, I have lost over 200 pounds and have maintained my current weight for the past 2 years. If you need to lose 20 pounds or 2oo pounds this formula works. Success requires a desire for change, a little planning and persistence. I will share with you my daily food dairy and exercise log over the next week, so that you can see my diet and my exercise routine. In addition, you will find posted below my diet recommendations for losing weight and keeping it off. 2.) Never aim to lose more than 2 pounds per week. 4.) Crowd out the unhealthy foods in your life by eating the healthy nutritious ones first. If you add 2 servings of fruits and 3 or more servings of veggies to your daily diet routine, you are not going to have room for the unhealthy foods. In addition, it will gradually get rid of your cravings. Do not start out trying to eat like me. Start by adding more vegetables and healthy foods to you daily routine. Eventually the bad foods will disappear if you make the choice to follow this guide. 5.) Know your energy requirements. This is critical! You can’t manage something, if you do not know what is required. 10.) Limit your intake of simple carbohydrates. Simple carbohydrates promote cravings by causing blood sugar spikes. Eat lower glycemic foods. This does not mean you should eat a high protein diet. Select complex carbohydrates. Your brain and central nervous system (CNS) only burn glucose (sugar) for fuel. The average person need 100 to 125 grams of carbohydrates to fuel the brain and CNS. Sugar, glucose and glycogen (stored glucose) are made from dietary carbohydrates. Avoid or limit refined and processed foods as much as possible and don’t eat fried foods. Fish & Seafood 1 serving 3 times per week. Prepare by grilling, baking and broiling. Do not fry. Do not eat farm raised fish of any kind. Fruits 2 servings per day is the limit, a serving is 1 medium fruit, ½ cup juice or ¼ cup dried. Dried fruit is coated with sugar so avoid it. Avoid fruit juices, they are also very high in sugar content. Nuts & Seeds Limit to 1 to 2 ounces per day due to high calorie content. Studies show people who consume 1 oz. of nuts daily lose weight and keep it off. In addition, they may cut their risk of heart disease by up to 45%. Grains Limit to 4 to 6 servings per day, depending on calorie requirements. Whole grains provide complex carbohydrates that are important for energy needs. Your cells prefer glucose for fuel. Glucose is provided by carbohydrates. To keep your blood sugar balanced, avoid simple carbohydrates and go for whole grains. I use olive oil and balsamic vinegar; Good Seasons Balsamic with olive oil or Good Seasons Greek Vinaigrette; Serving Size 2 Tablespoons, serve on side of plate, dip fork into dressing, then into bite of salad. Or you can make your own. I use and recommend Smart Balance Heart Healthy lite. It’s 45 calories per serving, 1.5 grams of saturated fat and zero cholesterol and taste like butter. Honey; if possible, get local raw unpasteurized and unfiltered honey, it will have more nutritional value. Stevia; this is my choice of sweetener. Truvia is the best commercial choice. Stevia in the Raw has sugar in it. Xylitol is another of my favorites. I usually use ½ stevia and ½ xylitol due to the after taste of the stevia.